Confidence in the economy, tax refunds, and low-cost financing are some of the reasons that have driven car sales higher so far this year. According to USA Today, income tax refunds have helped consumers make the down payments for new cars and replace older vehicles that have been on the road for around 11 years. However, stocks of companies that sell aftermarket auto parts have done well this year, despite the rise in the number of new vehicles. Advance Auto Parts, Inc. (NYSE:AAP), AutoZone, Inc. (NYSE:AZO), and O’Reilly Automotive Inc (NASDAQ:ORLY) have appreciated in the mid-teens, even though the first two reported negative same-store sale growth in their latest quarterly reports. Let’s review how each of them did in the first three months of 2013 and what can be expected from them going forward. 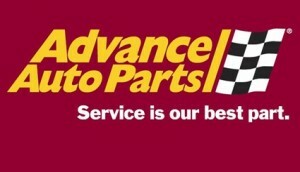 Advance Auto Parts, Inc. (NYSE:AAP) added just over 15% to investors’ wealth in the first quarter of the calendar year, which included a positive quarterly report. Even though the company failed to improve revenue, and witnessed a 1.9% decline in same-store sales in the previous quarter, efficient cost management helped it record a solid bottom line beat. Going forward, Advance Auto Parts, Inc. (NYSE:AAP) is looking to step on the gas and catch up with its larger peers. The company is behind AutoZone and O’Reilly in terms of store count, but it is aggressively looking to grow its network. It opened a record 137 stores in the previous fiscal year, and acquired stores of the bankrupt Strauss Auto Parts to establish its presence in New York. The company is also intent on growing its e-commerce business, and is counting upon the older population of vehicles to drive its business. It expects its new stores, a colder weather, declining gas prices, and a rise in the population of vehicles older than seven years to help its same-store sales back in the black. The stock trades at a trailing P/E multiple of 15.6, which doesn’t seem too expensive considering the moves it is making. Investors should keep an eye on Advance Auto Parts, Inc. (NYSE:AAP) as it has the potential to advance higher as the year progresses. AutoZone, Inc. (NYSE:AZO) appreciated about 14% in the first three months of the calendar year, but reported mixed results for the second quarter. The company, like Advance Auto, witnessed a decline in same-store sales which fell 1.8%, as a delay in processing income tax returns held up tax refunds and hurt AutoZone, Inc. (NYSE:AZO). However, AutoZone, Inc. (NYSE:AZO) did manage to grow earnings 15% from the year-ago period on the back of lower cost of parts. Being the largest auto-parts retailer in the U.S., AutoZone, Inc. (NYSE:AZO) enjoys the advantage of having the widest network of stores, which number just above 5,000. The company is facing weakness in the Northeast and the Midwest markets, while analysts expect that AutoZone, Inc. (NYSE:AZO)’s do-it-yourself business, which forms the majority of its revenue, is in for some tough times due to spending constraints of low income households. However, management is optimistic about the company’s progress going forward. The high average age of vehicles, expectation of a colder winter later this year, and focus on e-commerce are expected to drive results. Investors seem to have confidence in AutoZone’s prospects as well, since the stock has continued its rally even after the mixed results it posted in late February. AutoZone’s trailing P/E ratio of around 16 is almost at par with Advance Auto, but its PEG ratio of under unity is the lowest among the peer group, which signifies that it’s expected to grow the fastest. The company might be under pressure as of now, but the probability of an upswing in the business going forward might help the stock keep its momentum intact. However, with the stock trading near its 52-week high and no immediate bounce back in same-store sale growth in sight, investors should tread with caution while considering AutoZone for their portfolio.